Routt County Sheriff Garrett Wiggins and challenger Kristin Bantle square off during Tuesday night’s election forum at The Steamboat Grand. 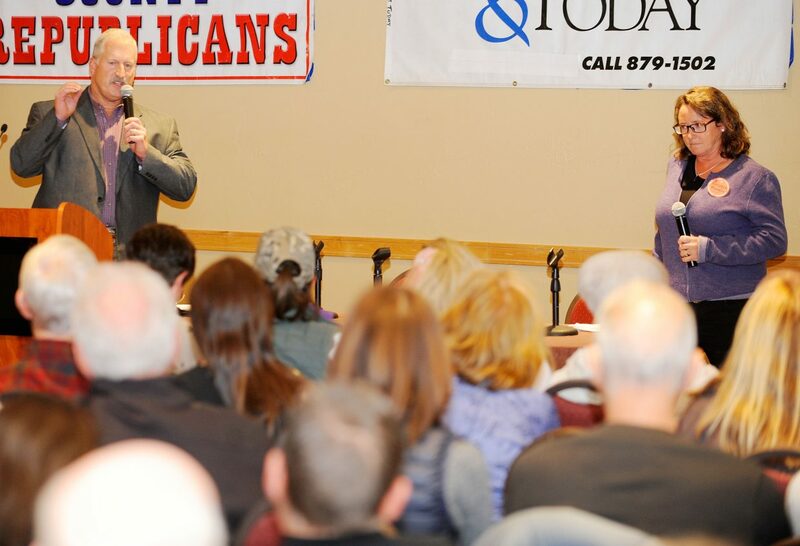 STEAMBOAT SPRINGS — Answers from the Routt County Sheriff’s Office candidates were filled with emotion and prompted the biggest response from the crowd of about 250 people who attended Tuesday’s election forum. 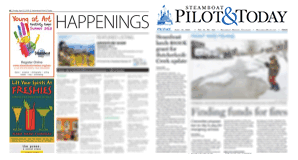 The forum at The Steamboat Grand was hosted by Steamboat Pilot & Today, Steamboat Springs Board of Realtors, Steamboat Springs Economic Development Council and the Routt County Republican and Democratic parties. The sheriff’s race between Kristin Bantle and incumbent Garrett Wiggins has been contentious. Bantle and Wiggins have a history. Bantle filed a lawsuit in federal court in May 2016 alleging Wiggins violated her constitutional right to privacy when he released information related to Bantle’s past illegal drug use she felt would be kept confidential. The lawsuit was related to events going back to 2013 when Bantle pursued leaving the Steamboat Springs Police Department and applied for a job at the Sheriff’s Office. During the application process, Wiggins learned Bantle did not disclose all the previous drugs she had used. He learned she used cocaine the previous summer while she was employed as a Steamboat police officer. 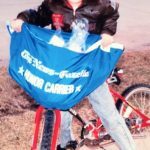 The events led to Bantle being charged with felony attempt to influece a public servant, and a jury acquitted her. The lawsuit was dismissed by a judge. Tuesday’s forum was moderated by Steamboat Pilot & Today Editor Lisa Schlichtman, who asked the sheriff candidates whether they would like to respond to claims the candidates have made about each other’s integrity. Bantle said she felt she had been retaliated against for being a whistleblower. 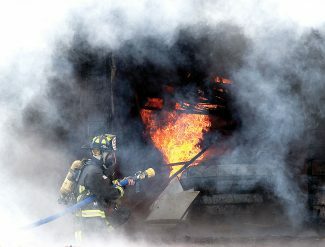 “What I have learned from this whole fiasco is that there is a lot of evidence behind the claims,” Bantle said. Bantle said she has paperwork and other documentation to back up her claims. His response prompted some boos and heckling from the crowd. “This is not very easy for me to talk about today,” Wiggins said. The sheriff candidates were also asked what they thought were the biggest public safety issues in Routt County. Wiggins said local resources are stretched to the limits. “If we can get a better grip on those three key areas, I think we’ll be miles ahead,” Wiggins said. Bantle said the Routt County community is lucky to live in an area with relatively low crime rates. “That’s why we can focus on some other important issues,” Bantle said. She said she wants to prioritize school safety, mental health, decriminalizing addiction and improve fiscal responsibility. In other local races at the forum, Republican Routt County commissioner incumbent Cari Hermacinski and Democrat challenger Beth Melton discussed collaborating with other agencies, affordable housing and growth. Melton said collaboration was key in creating affordable housing. “I think that would be one place to work in collaboration across the county,” Melton said. 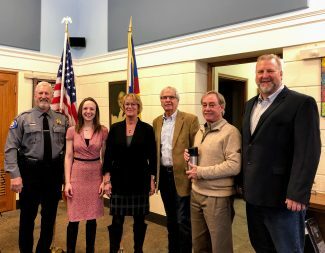 Hermacinski pointed to successful collaboration between the city and county to build a new law enforcement facility that will be shared by the Steamboat Springs Police Department and the Routt County Sheriff’s Office. There are about 7,000 square feet of space that will be shared by the police and deputies. “That’s about $2 million that we saved the taxpayers just in construction,” Hermacinski said. Congressional candidate and Steamboat Springs Democrat Diane Mitsch Bush spoke in addition to Libertarian candidate Gaylon Kent, who lives in Hayden. Republican incumbent Scott Tipton did not attend. 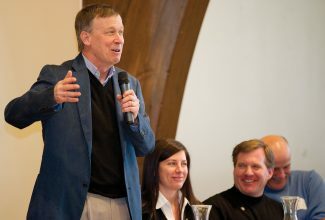 “All the status quo is going to offer us is more bickering, war and spending,” Kent said. Mitsch Bush spoke adamantly about protecting public lands. Colorado House District 26 candidates Republican Nicki Mills of Eagle-Vail and Democrat incumbent Dylan Roberts, originally from Steamboat, both attended. 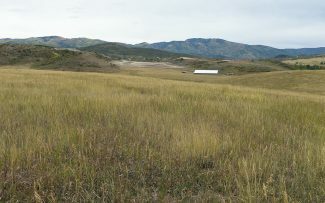 The district represents Routt and Eagle counties. Both candidates spoke about how they have built relationships with people in the opposing political party. Mills spoke about addressing the high cost of health care and attainable housing. Roberts also emphasized the importance of affordable housing and funding for education. Roberts said he co-sponsored a bill that provided the largest increase in education funding in decades. “I will continue to fight for those types of budgetary actions,” Roberts said. 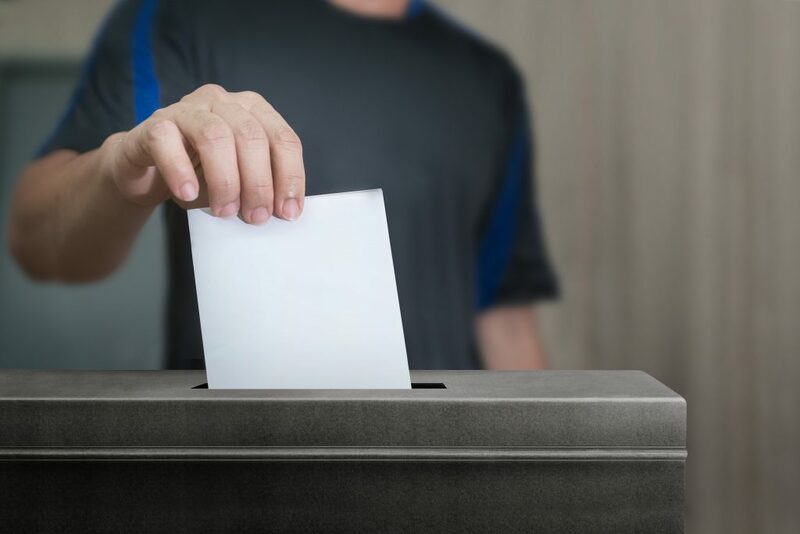 Another election forum will be held to discuss local and state ballot issues. The event at The Steamboat Grand will start at 5:30 p.m. Wednesday, Oct. 10 with a meet and greet, drinks and appetizers. The forum will start at 6 p.m.